In response to a recent visit to Brussels by Tibetan Prime Minister Lobsang Sangay, a senior Beijing official has launched a verbal tirade against MEPs, labeling them ‘irresponsible’, which itself has received a rebuttal from a prominent MEP. The verbal attack by Zhu Weiqun, China's vice-minister with responsibility for Tibet, comes in the wake of a recent appearance before the European parliament's foreign affairs committee of Lobsang Sangay, the prime minister of the Tibetan government in exile. He was in Brussels from 27-29 November  at the invitation of parliament's Tibet intergroup and was the keynote speaker at the "Tibet conference on genuine autonomy." During his three day visit, Sangay met with leading politicians and MEPs and addressed the committee during its extraordinary meeting. Sangay also addressed members of the Tibetan community and Benelux support groups. However, the decision to invite him to appear in parliament incensed the Chinese authorities, echoing Beijing's concerns about a similar invitation by parliament to the Dalai Lama a few years ago. Speaking at a briefing on Monday [12 December 2011], Zhu welcomed what he called improved EU/China relations which he said were now on a "sound footing." But at the same time he criticised the "stubborn" decision to invite the Tibetan leader to parliament last month, adding, "This was highly irresponsible." He insisted that China's policy towards Tibet "would not change," adding, "I understand that the views of some MEPs do not represent the EU's position on Tibet but it is important that there are some restraints." Despite criticism in some quarters, he made a robust defence of China's approach to Tibet, saying there had been "significant" improvements in several areas, including poverty reduction and healthcare. He said there had been a 12 per cent rise in the past year in Tibet's GDP, life expectancy among its three million population had doubled and that in 2010 China had invested 137bn Yuan in Tibet. He told journalists that the reason why China continues to be attacked for its record on human rights was that "some are not willing to accept a successful China." He added, "There is an inherent bias towards China. Many Europeans seem more willing, for example, to accept what the Dalai Lama says rather than what we are saying. "There is little we can do to change this mentality but the thing I would say is that time is on our side." However, a senior MEP hit back at the criticism, accusing the Chinese regime of pursuing a "brutal" policy in Tibet. ALDE member Edward McMillan-Scott EMS spoke at a Brussels conference recently attended by Sangay and and has also visited Tibet. 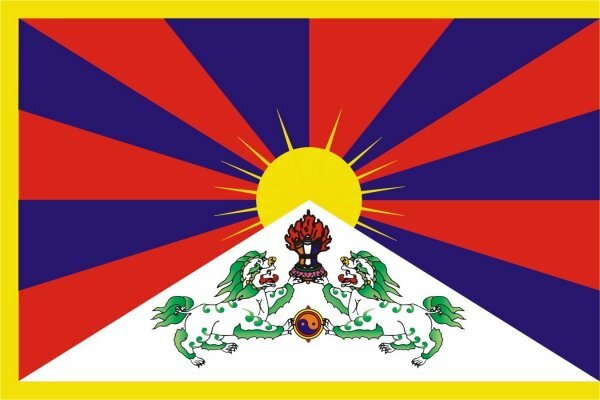 Speaking to this website, McMillan-Scott, a vice president of parliament, said that he "looked forward to complete independence for Tibet." He said, "I look forward to the oppressive and brutal nature of the Beijing regime coming to an end." The deputy, who has special responsibility for democracy and human rights in parliament, says he hopes that "Tibetans will enjoy the freedom and human rights they deserved."